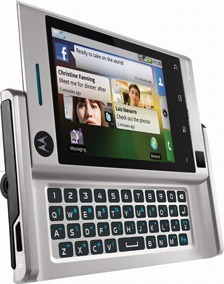 CompanionLink Software is proud to support the new Motorola DEVOUR with MOTOBLUR. The Motorola DEVOUR builds on the great features of the popular DROID phone. The DEVOUR runs the Android operating system, allowing users access to the thousands of apps currently available. With CompanionLink, users can synchronize contacts, calendar, tasks, and notes from popular information management software such as Microsoft Outlook, Lotus Notes, ACT! by Sage, Novell GroupWise, Palm Desktop and GoldMine to the Google account set up with the DEVOUR. Once data is synchronized to the Google account, the integration between Google and the DEVOUR will ensure data is transferred to the phone. CompanionLink is a cost-effective answer to people asking how they can get their desktop data on their DEVOUR in either a wireless via Google or wired USB fashion. A 14-day evaluation version of the software is available at www.companionlink.com/android. Many phones in the market today, specifically those running the Android operating system, do not have support for the ‘Notes’ feature that so many business professionals find essential. CompanionLink is proud to offer a solution to this problem. CompanionLink’s software for Android allows people using Outlook, Lotus Notes, ACT! 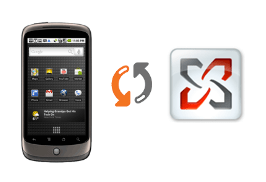 by Sage, Novell GroupWise, Goldmine and Palm Desktop to sync all their notes/memos to an Android phone via a secure USB connection. 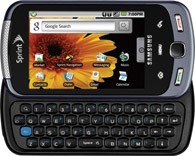 CompanionLink works through the CL USB Sync app users download to their Android phone. This app has advanced Notes functionality to handle thousands of records. Power users who use categories to manage their Notes on the desktop will be pleased to find that these categories sync across to the phone. Users can sort their notes by categories, and find the data they need with the powerful built-in search feature. Here’s a chance to gain valuable new skills in ACT! while supporting the Red Cross Haitian Relief Fund. A six week series of ACT! Training Sessions is being offered by Certified ACT! Consultants with all proceeds going to the American Red Cross for their Haiti relief & recovery efforts. Would you like to make a difference for the survivors of the Haiti earthquake? The fees you’ll pay for this training will help to provide food, shelter and medical care for a nation in dire need. These six sessions will help you boost your skills around sales, marketing, and ACT! software at an incredible price for an excellent cause. The first session kicks off on February 18th in an online seminar led by expert consultants from across North America. Click on the banner for more info. ACT! by Sage users who also own an iPhone can use both technologies as part of their business workflow. CompanionLink offers ACT! 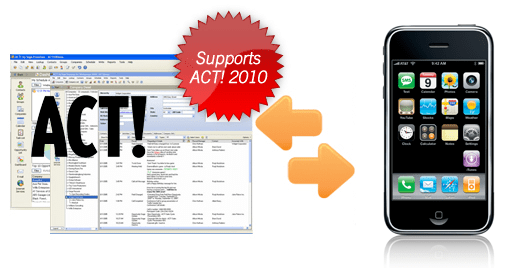 to iPhone synchronization that allows for two-way wireless transfer of ACT! contacts, activities, to-dos, notes, histories and opportunities. CompanionLink also allows ACT! users to link activities and notes to contacts for optimal organization of business data between ACT! and iPhone. CompanionLink offers two ways to synchronize data between ACT! and iPhone – wired USB sync and wireless sync. Wired USB sync transfers contacts and calendar data between ACT! and iPhone using Outlook and iTunes. Wireless sync between ACT! 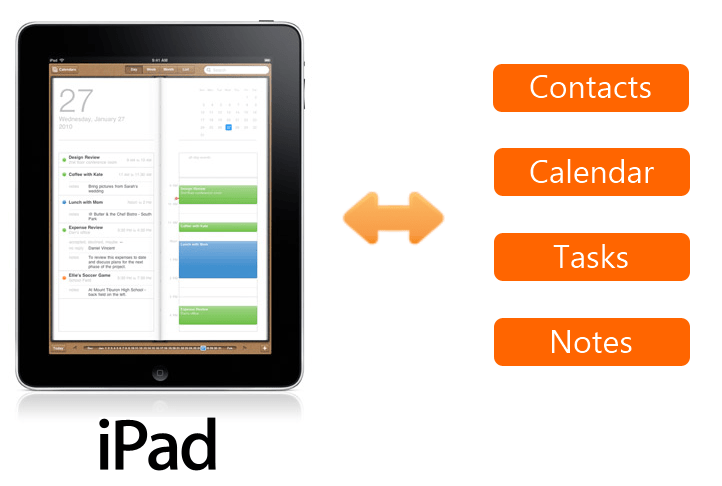 and iPhone can be configured in one of two methods – sync via Google or sync via CompanionLink’s wireless sync service. Sync via Google requires a Google account to hold ACT! data, and the Google Sync service to transfer data over-the-air. Sync via CompanionLink’s wireless service transfers data directly between ACT! and iPhone. A 14-day evaluation version of the ACT! to iPhone wireless sync software is available at www.companionlink.com/iphone.